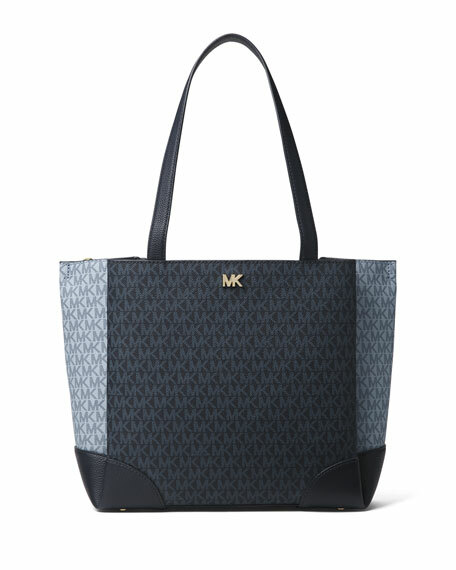 MICHAEL Michael Kors tote bag in colorblock MK logo-print canvas and leather. 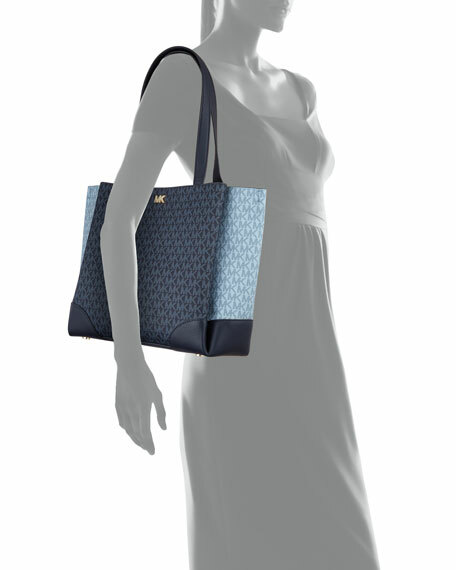 Flat shoulder straps, 9.8" drop. 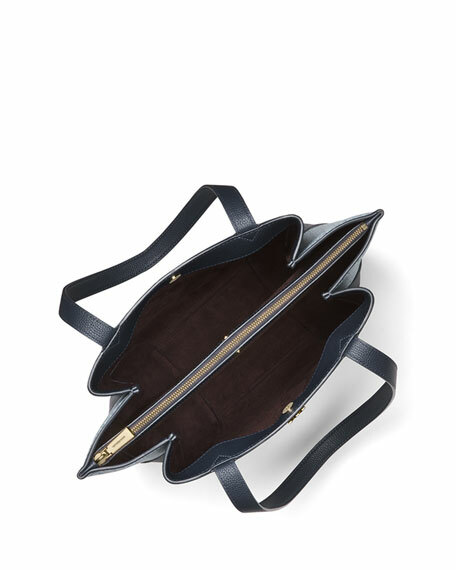 Center zip compartment secures at front and back snaps. Exterior, logo stud at center front; reinforced corners. Two slip pockets; one key clip. 11"H x 16"W x 4.5"D.
For in-store inquiries, use sku #2578538.